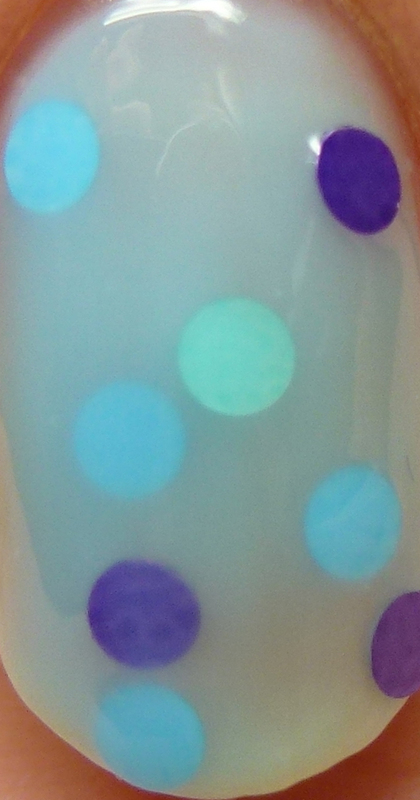 Once Upon a Cloud has seafoam, sky blue, and royal purple circle glitters in a medium sky blue jelly base. As you can see, the glitters came out in abundance with four thin coats and the polish dried shiny. 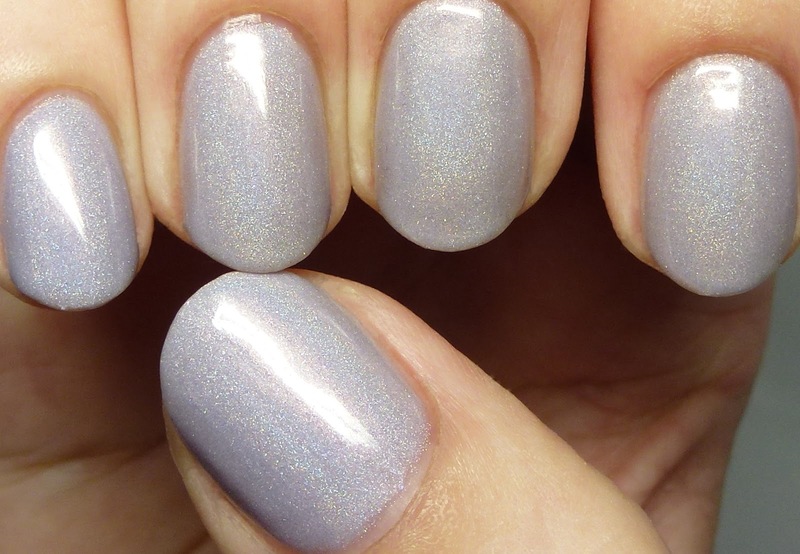 If you wanted it fully opaque, I recommend using a complementary base coat. 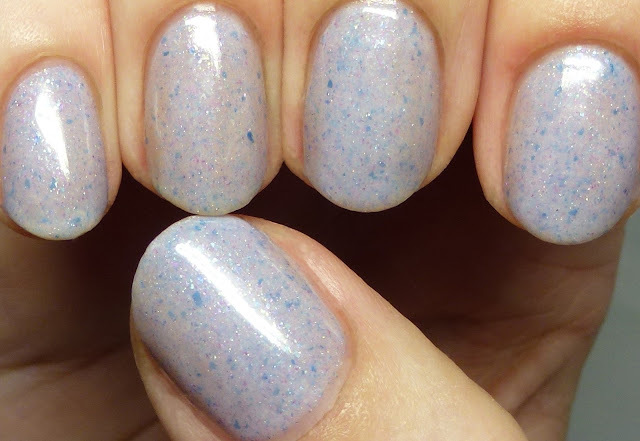 Sweet Pea is a lovely lavender mist jelly with scattered holo shimmer and blue and lilac flakes, which I wore in four thin coats. 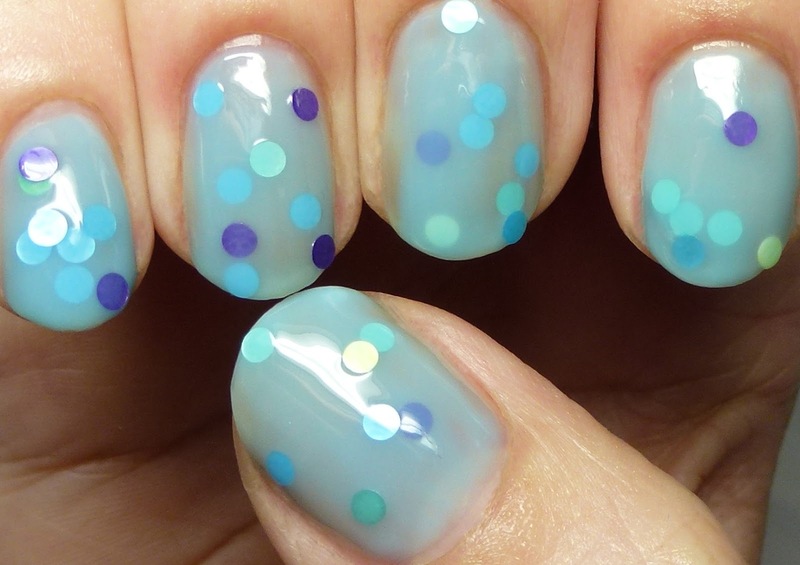 I love the delicacy of this one. 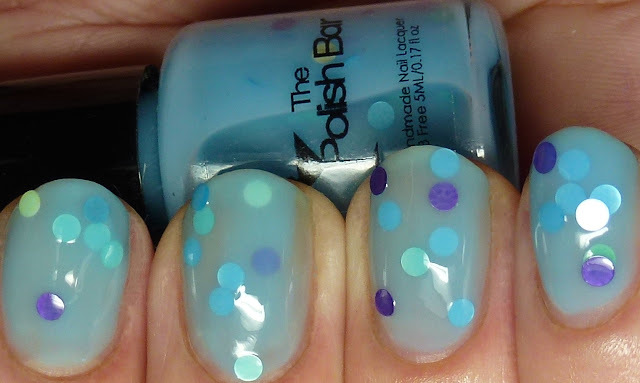 Perfect formula! 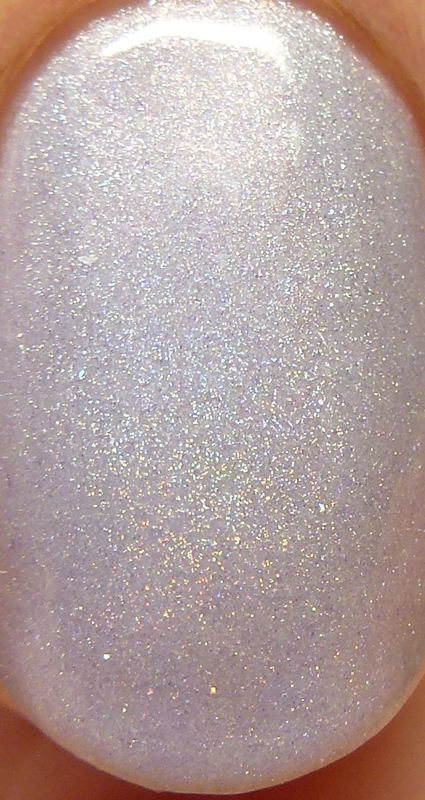 White Lilac has a pale lilac jelly base with linear holo and faint pink-to-green duochrome shimmer. It was hard to capture in pictures but it adds a beautiful glow to this polish. Again, perfect, quick-drying, shiny formula. 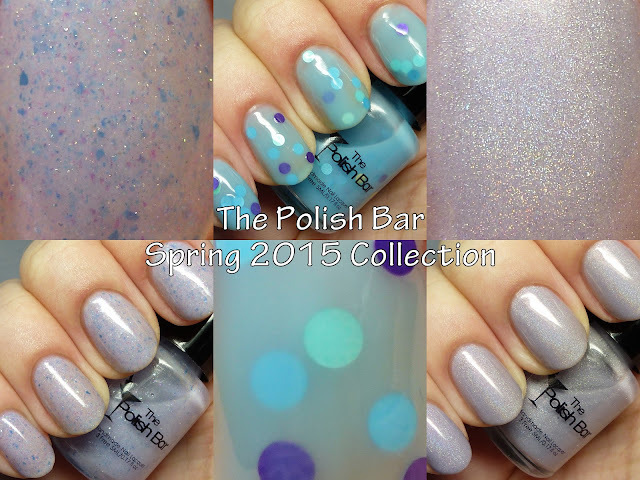 That wraps up the Spring 2015 Collection - I have to say I was thrilled with it, especially the holos and flakies. Check out part 1 if you haven't already. Each of these polishes is prices at $8.50 for full size, $50 for a full size set of six, or $28 for a mini set of six. See any you might want to grab?